Be Dri Victorian & Edwardian Damp Specialist - Builder, Damp Proofer based in Poole, Dorset. Be Dri is remedial property company who specialise in Victorian and Edwardian properties that have building faults such as Damp Problems around the Base of the Wall, Woodworm Treatment for Wood Boring Insect Infestations in House Timbers, Re-pointing Old Houses with Traditional Materials, Wall Tie Replacement due to Corrosion, Wet and Dry timber Rot Causing Floor Joists to Collapse, Cavity Wall Clean Outs due to Excessive Building Material in the Wall, Basement Damp and needs Tanking, Specialist Re-plastering using Traditional Sand and Lime. Everything within our website relates to old buildings. The techniques and materials are essential to old houses, but they equally can be applied to new ones. You cannot apply new house techniques to old houses! The Golden Rule - BREATHABILITY! 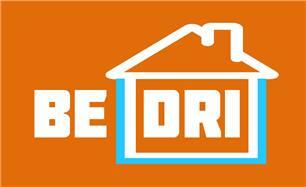 Then Contact Be Dri the Damp specialists who can take the weight off your shoulders and worry off your mind. Bournemouth, Poole, Weymouth, Blandford, Dorchester, Bridport, Shaftesbury, Wareham, Swanage, Sherbourne, Ringwood, Christchurch, Salisbury, Southampton, Winchester, Dorset, Hampshire, Wiltshire.